This is the second of a two-part series where I chat to two freelancers who have had great success on Upwork – the largest online freelance marketplace. In Part One, Danny Margulies gave some useful techniques and tips, especially for newbies wondering how to break through and start landing clients (like his Crystal Ball Technique). Curious? Read the post! Next up, Diana Marinova shares her successful journey on Upwork. This post is loaded with tons of great information, so if you’re new to Upwork , there’s a lot to learn here. 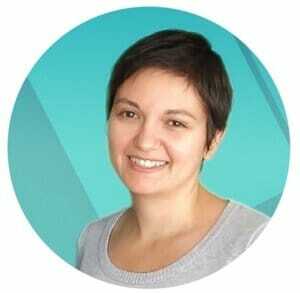 Diana Marinova is a freelance marketing consultant who helps small business owners grow their businesses and get the most value for their budgets. She focuses on training and strategy planning for integrated marketing communications which includes email, social media, and content marketing. Diana registered with Upwork (then oDesk) in January 2010 and soon realized the earning potential of freelancing. Today Diana earns around $30 000 per year from Upwork. Her freelance business has expanded over the years and she not only works via Upwork but also with clients who contact her directly or via her website www.dianamarinova.com. I started freelancing “by accident”. Back in 2009 after a fun work summer in Greece, I returned to my home country to look for a job. Unfortunately, the financial crisis had just hit and employers were exploiting the situation. Every business wanted to hire highly qualified personnel for far from fair wages. After a few months of searching for a 9-to-5 job I was almost broke and still jobless, but I was proud too. I wasn’t ready to have a day job for pennies after working so hard to get my degrees and to gain my experience as a marketer. I stumbled upon oDesk and decided to check it out while still trying to find a “normal job”. Three months later, I did find my dream day job. I declined it. How come, you ask? I had tasted the freedom being a freelancer gave me. While I didn’t yet make a full-time living freelancing, I knew it was possible, as long as I kept at it. So I chose to keep at it. What started as a joke turned out to be the best career decision I have ever made. I got lucky with my first project. It was a small translation job from English to Bulgarian. Since it’s a rare language, and oDesk and freelancing in general was a very foreign concept in my home country, I didn’t have any competition for the project. Therefore, I landed the job and earned my first $10 and my first 5-star review for ten minutes of work. Upwork is fairly different now from when I started plus, unlike 2010, there is an abundance of information online about being a successful freelancer. Nevertheless, two issues keep on coming up when I train starting freelancers – positioning and adding value for targeted clients. My first piece of advice would be to figure out your value proposition and build your profile accordingly. Don’t try to be everything to everyone. Ask yourself – what do you want to do? Who do you want to work with? Why would those people hire you and not someone else? Pick a niche, work out your ideal client profile, and build your profile in such a way that it speaks to a particular type of client. Remember that many quality clients never publish their projects publicly. They browse Upwork and hand-pick freelancers so you want your profile to instantly tell them how you, and nobody else, will solve their problem. My second piece of advice would be to pick your clients wisely and to never compete on price. Even though your profile, if done right, will show up in narrows searches, you still want to apply to projects to get the ball rolling. A mistake most starting freelancers make though is – they apply to as many projects as they can, thinking it’s a numbers game. While it is a numbers game to some extent, there is far more to it. It is better to apply to three highly targeted projects with carefully crafted proposals, rather than to thirty somewhat relevant ones with a semi-customized cover letter. Armed with your ideal client profile and the niche in which you have positioned yourself to be the go-to-person, look specifically and only for those kinds of jobs. Furthermore, learn to read between the lines and identify good clients based solely on the job post. Know that those clients appreciate quality. Therefore, it’s much more important to focus your proposals on the value you bring to the table rather than to try beating the competition by offering a low price. Being from the small country of Bulgaria in Eastern Europe, what challenges did you overcome as an international freelancer, and how can international freelancers leverage this in finding work on Upwork? It was hard to change my attitude and mentality toward pricing strategies. I cringe at the memory of offering marketing services at $7/hour. It took me some time to realize that value beats price every time. Good clients appreciate quality and they know it costs money. If your service is good – do not be afraid to ask the price you deem fair. Don’t think about the money you were making at your last day job. Don’t listen to nay-sayers who tell you Upwork is only for bottom-feeders. Do proper research on Upwork. Know how much your competition is charging, what they offer in return, and bring your offering up a notch to offer a better value for the same or better yet, a higher price. Looking back, the more I increased my prices, the better clients I was working with. Today I accept mainly fixed price jobs (on Upwork and with direct clients alike) and my estimated hourly rate is between $100 and $150 depending on the project. Needless to say that I didn’t start there – you won’t start there either. But you absolutely should not start at $7/hour, is what I am saying. Your price will determine the type of clients who would pay attention and engage you in discussions. If it’s too low and you compete on price, you are putting yourself out of business. Clients pay you to solve problems – not to sit at a desk for a certain number of hours. Don’t forget that. I started small and built my way up. First, it’s very important to understand and remember that lack of reviews on Upwork does not mean lack of experience. So what’s the best way to show experience when you lack social proof? Focus on landing small and relatively simple projects with the potential of becoming long-term or high-level projects. One of my early clients hired me to write his website content. He had an editor and he didn’t care that English is my second language, but he valued my marketing background and wanted to make sure the website is built the right way and the copy – written with the target audience in mind. I was able not only to do my job well but to show him my strategy and tactics marketing planning skills. He kept me on the team long-term to build and manage his whole marketing team. Since then, we have worked on several projects directly as well. The moral of the example is – don’t shoot too high from the start. You may or may not succeed if you try to land a high-paying large-scale job on day one with any given client. But you have fairly good chances to succeed if you look at small projects as “trial runs” and recognize (and take advantage of) the potential for a long-term relationship in those initially small projects. How do you assess potential clients and spot the good ones from the bad ones? This is a very broad topic. But what I think starting freelancers would benefit the most to hear is – don’t get tempted by promising offers. If it sounds too good to be true, it probably is. Clients who want a free trial or a free sample, created specifically for them, in order to see the quality of your work. Clients who try all the time to cut your rate – and no, I’m not talking about the clients who are willing to negotiate a smaller scope of your proposal so that it fits their budget. I am talking about the prospects whose only objective is to spend less money, no matter what. You can recognize those clients by their (condescending) attitude and how they bend your arms for money. Clients with trust issues who want you to be available on Skype all the time. They would micromanage you on a daily basis, or require detailed reports for every minute you spent working on their projects. Clients who don’t know what they want, or complain all the time about work, colleagues, freelancers they worked with previously. Clients who ignore your questions. They rarely, if ever, provide preliminary information and some even expect you to read their mind in terms of project goals, deliverables, and change requests. With time and experience you learn to trust your gut about it, too. But for starters, any of the above-listed clients are bad ones. Run away and don’t look back, no matter what they promise you as future collaboration. What are the advantages and disadvantages of working with Upwork? After the merger between oDesk and Elance, there have been a lot of changes. Some are good, others not so much. There certainly are a lot of bugs and technical difficulties. That aside, you have to pay a fee which just got increased for projects with a value up to $500. (You can read more about that here.) So the biggest disadvantage is that you have zero control over fees or website usability changes. Upwork is not very good at giving notice about major changes. On the flip side, Upwork can save you A LOT of time and paperwork. You have a huge marketplace at your disposal with clients who need your services – no need to cold call anyone, or put extra effort in marketing. Just browse the website on a regular basis and you will have plenty of projects to apply to. You’ll get plenty of invites, too! You get paid either every week when you work on an hourly basis, or within a few days of work submission if you work on fixed-price jobs. Both types of payment are guaranteed, as long as you deliver the agreed work and follow Upwork’s rules and policies. And finally, by working through Upwork you build your record on the website with references from clients. Since it’s a third-party website clients know those reviews are reliable and truthful, which adds value to your profile. This way, you get invited more to projects, you build a stronger network with better prospects, you get pickier with clients, you raise your fees more and more. You have written an e-book How to Succeed on Upwork: A Winning 7-Step Formula and Some Hard Truths from a Freelance Pro to help freelancers hack Upwork. Tell us a bit about the book and what type of tips readers can expect to learn from it. Thanks for bringing up my book, Deevra. This book is all that a starting freelancer would need to kick start their practice on Upwork. I share my story and give you the methodical approach you need to succeed on the site. I spent a lot of time making initial errors when I was starting in 2010. This book saves you the time that you would otherwise waste in trials and errors. You can download a sample of the book on Amazon and see the steps covered in the book but what I continuously get a very positive feedback about is the homework. Each chapter ends with a homework assignment, designed to help you put the tips into practice immediately after reading. So by the time you are finished with the book and the exercises, you will be all set for success. You will only have to keep at it. The book is due for a second edition since it’s written about both Upwork and Elance. Now that Elance closed down, I am re-working it to give examples based only on Upwork’s website and interface. Nevertheless, the fundamental principles revealed in the book remain valid. Now that’s a bumper post full of useful tidbits! My thanks to Diana for taking the time to share so much detailed information. If you’re new to Upwork or thinking about joining, this should help give you direction on how to navigate Upwork successfully. Interested in learning more? Check out Diana’s book “How to Succeed on Upwork: A Winning 7-Step Formula and Some Hard Truths from a Freelance Pro“.